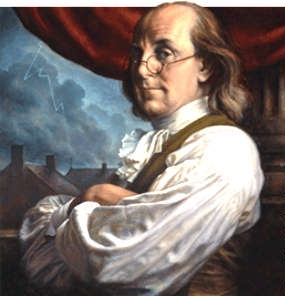 The story goes that as Benjamin Franklin emerged from Independence Hall at the close of the Constitutional Convention in Philadelphia on September 18, 1787, a woman asked him, “Well Doctor, what have we got, a republic or a monarchy?”. Ladies and Gentlemen, in looking over the events of the past few months, I would submit to you that Mr. Franklin’s Republic is still intact. 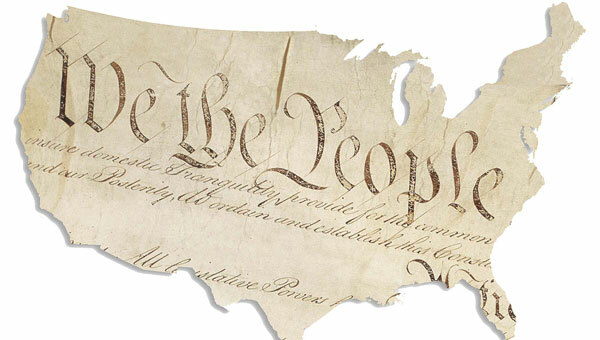 Yes, she’s taken a beating over time, but in the end, the framework that was so brilliantly devised by those wise men over 200 years ago still stands as a testament to the spirit of freedom that all men and women hold dear to their hearts. The elections that have been held over the past few years have shown us that Americans STILL believe in the principles upon which this country was founded. We don’t want government to tell us what we can and cannot do, and if the people who have been elected to represent our voices in the highest governmental bodies in the land don’t do that the way that we think they should, we have a Constitutional right to invite them to spend more time with their families while someone else gets a chance to represent the will of the people. Whether career politicians like it or not, a political office is still very much a free market commodity, and in this country, people still have the right to pick and choose who they want to represent them. There are no guarantees that a person will be re-elected, and in the past few years we have seen some big names – on both sides of the aisle – go down. That is truly the beauty of this wild and woolly system – the people know that they have a recourse, and if they feel strongly enough about something, they will take steps to effect change. And it is all done without a single shot being fired. 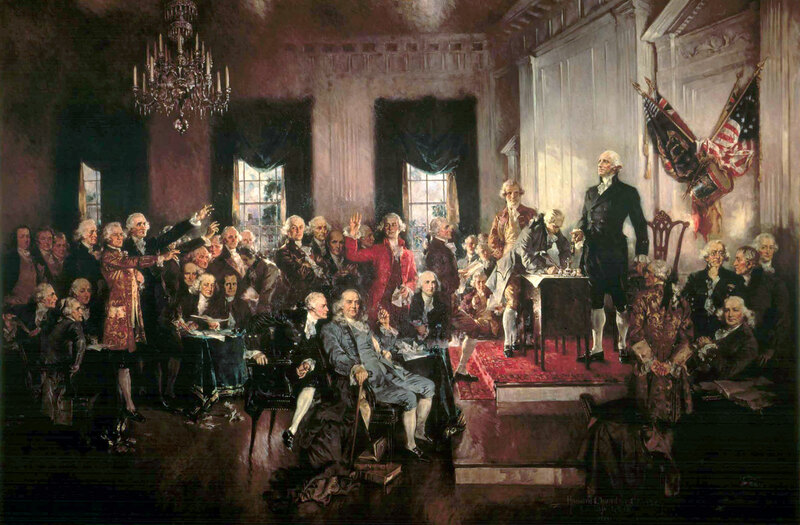 Fifty-five unassuming men drafted a document that forged a truly great nation. It’s pretty remarkable, when you take the time to think about it. We have a system in place whereby any legal adult citizen of this country is eligible to vote (obviously, there are a few caveats in extreme cases). As long as you are registered to vote, you can go to the polls on election day and cast a ballot for the candidate(s) of your choice to represent your voice in the government, be it local, state, and/or national. The votes are then tallied, a winner is declared, and power (sometimes) changes hands, according to the will of the people. Sometimes, “our guy” doesn’t win, but that’s OK, because we know that if things don’t work out, we will have a chance to elect somebody new the next time around. Every eligible person in this great nation has that same right – to have their voice heard – and each vote carries the same weight. It is a right, sadly, that a lot of people take for granted these days – far too many people don’t go and vote on election day, but being Americans, that, too, is their RIGHT. 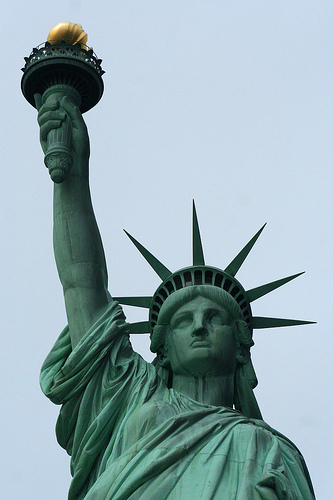 Still a beacon of hope to all people who yearn to live free. Anyone who doesn’t think that the system “works” – well, they simply haven’t been paying much attention lately. Because boy, howdy, is the system “working” – like gangbusters! Things can always get really exciting, politically speaking, and it is interesting to watch as events are unfolding. We can see the system in action, and it is a glorious thing to behold. THAT is what gives me “Hope”. 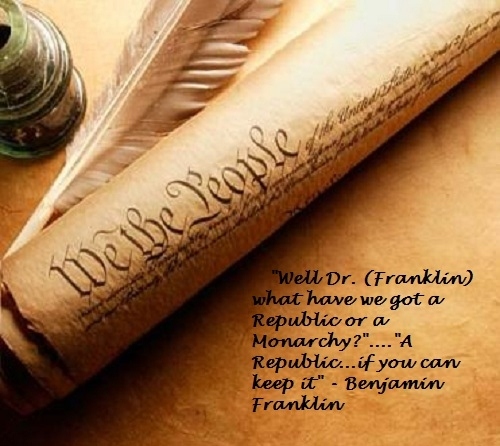 This entry was posted in Elections, I Love America, Inspirational, Think about it and tagged A Republic if you can keep it, Benjamin Franklin, Constitutional Convention, Elections, Proud to be an American, The System Works, We The People. Bookmark the permalink.